We’ve added additional transparency to our company models so clients can more easily trace data and calculations to their sources in the original financial filings. 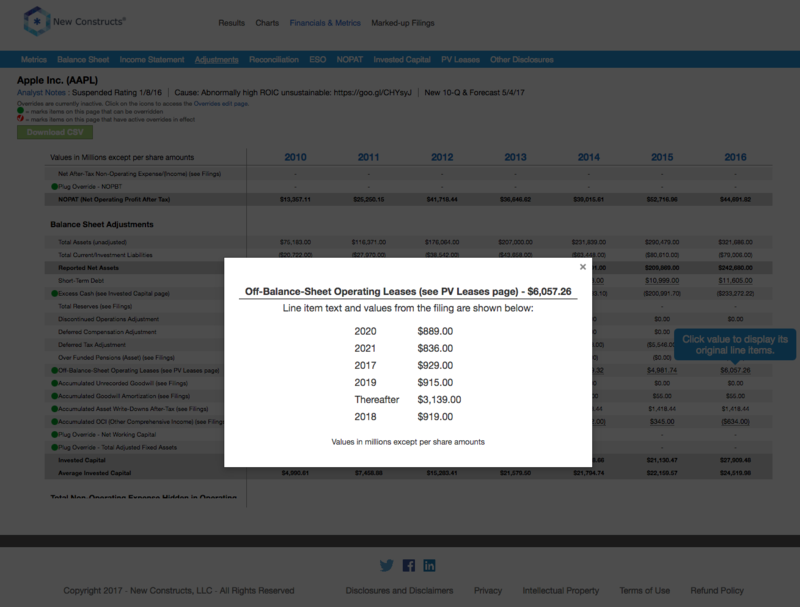 Click on a value in a company model, such as off-balance sheet operating leases, and see the source data from the filing. See the video below and this image for examples of this functionality.